I may have championed the oh-so note-perfect harmonies of Gaspésie’s Mélanie and Stéphanie Boulay once or twice (here, here and er here) and so was eagerly looking forward to the release of the sisters’ follow up to their award-winning debut “Les poids des confettis”, “4488 de l’Amour”. Actually in the context of the album the song is arguably a bit of a departure. The opening track is in a similar vein to those of their debut. Once again “Les couteaux beurre” features the sister’s silky vocals. Even the haunting whistling is as harmonious and pitch perfect as their voices. But as the Sisters launch into the song’s sweet chorus with its catchy melody you get the first inkling of the aural richness and warmth of this album’s sound. Here the sound is far more expansive – electric guitars, drums, percussion, bass synths – even a Kalimba and butter knife(!) – and trombone; all add texture and depth to a song that revisits familiar grounds – their childhood home and memories that can be wrapped around them like a well-worn but comforting shawl. Listening to the album it becomes obvious how much the sisters have matured as songwriters; these are still songs about love, boys, voyages and experiences. The songs are still very-much autobiographical, but while there may still be a broken heart or two, these are no longer songs written by two shy, young girls from Gaspé. Boys feature quite prominently in the sisters’ compositions. “Gab des Îles” features a boy and his truck. It’s a simple melody, initially subdued and reflective – yet as percussion drums and piano are layered onto the sisters’ by now trademarked harmonies – you realise this is a song of naked desire and intimacy. 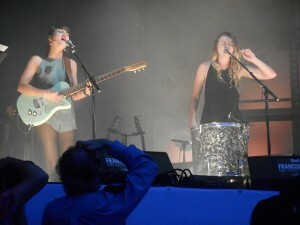 “Andaman Islands” harks back to a holiday romance – as well as the intimate style of “Les poids des confettis” and the perfect symmetry of Mélanie and Stéphanie’s vocals, just accompanied by guitar and ukulele – and again the theme is one of lust and desire, cleverly captured in the song’s lyric’s; “Ce qu’on a vécu, nous deux, Ça se prend take out…” (“What we’ve experienced between us, We’ll get take-out…”) “Alexandre” is a song about eternal love and everlasting friendship, built on a lilting folk-tinged melody and angelic, ephemeral harmonies. However I doubt you’ll hear a more touching love song this year than “Maison” – it’s a song that perfectly encapsulates Les sœurs Boulay – a deceptively simple yet totally enchanting melody married to their angelic harmonious vocals, apparently pulled-off so effortlessly – while the lyrics implore “Veux-tu y vieillir avec moi?” (“Do you want to grow old with me there?”) – honestly, who could refuse such a request? Travel features on the Stéphane Lafleur composed “Jus de boussole”. Country-tinged but Latin-infused – thanks in no small part to the Mariachi-inspired brass and the güiro-lead percussion – the song features a timeless melody and aching vocals which evoke memories of simpler times. 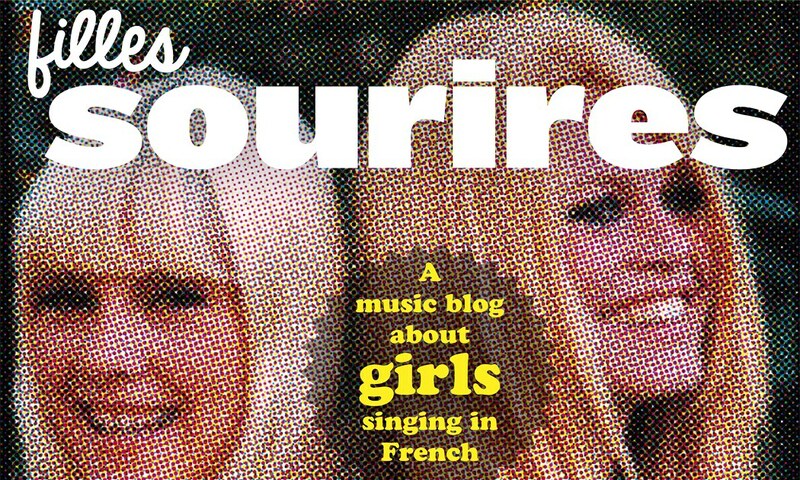 It’s a sign of the growing maturity of the sisters’ songwriting skills that they’ve tackled social issues; “De la noirceur naît la beauté” is intensely dark and moving, sung almost a cappella, save for haunting synths which accentuate the somber mood portrayed; “Langue de bois” is probably the sisters’ acerbic output to date and a comment on the enforced austerity and growing financial disparity – There’s clever use of English (whom I suspect are the target of the sisters’ scorn). The song’s gentle folk rhythms are augmented by Trombone – which arguably sets the song’s tempo throughout – and a rock-pop chorus that again highlights their truly majestic voices. The sisters again let-off steam with “Sonne-décrisse” as they rally against meaningless small-talk and mealy mouthed platitudes. The uptempo folk-tinged melody and forthright confident vocals are intended to challenge the status-quo, but while the lyrics suggest a hint of doubt, you know that these confident young women will overcome whatever uncertainty they encounter. “4488 de l’Amour” is another chapter of Mélanie and Stéphanie Boulay musical journey. Surrounding themselves with some old friends – Philippe B is again behind the controls while Manuel Gasse and the aforementioned Stéphane Lafleur lend a hand with both words and music – the album see the sisters emerge as mature, cosmopolitain auteure-compositrice-interprète. However, despite the fact that over the past couple of years the sisters have made a considerable impression in the Francophone community worldwide, they remain true to their Gaspé Peninsula roots, continuing to write and express themselves in their native Québécois-French (even if this does make grasping the nuances of their lyrics somewhat difficult – seriously does someone do a really good English – French-Canadian dictionary / thesaurus?) The end result is an album of vignettes of love, life, travels and astute social commentary. An interview with Stéphanie and Mélanie outside their home in Montreal in October 2015 is at https://www.youtube.com/watch?v=UCRu5swSkX0 . Stéphanie speaks in English but Mélanie sticks to French – understandable French French not Quebecois, fortunately. The CD of the album ‘4488 de l’Amour’ costs only $Can12.00, ordered direct from their website (Bandcamp) – go to http://www.lessoeursboulay.com . You get a download to your computer as well. This appears to be post-free inside Canada and the USA. Even to the UK it’s good value – I ordered 2 CDs and the total cost was £20.20, or a tenner each. Don’t go to Amazon.fr which is charging €86.00 for an import! The sisters’ new concert tour – an impressive list – is in only in Quebec, not even visiting Ottawa or New Brunswick.